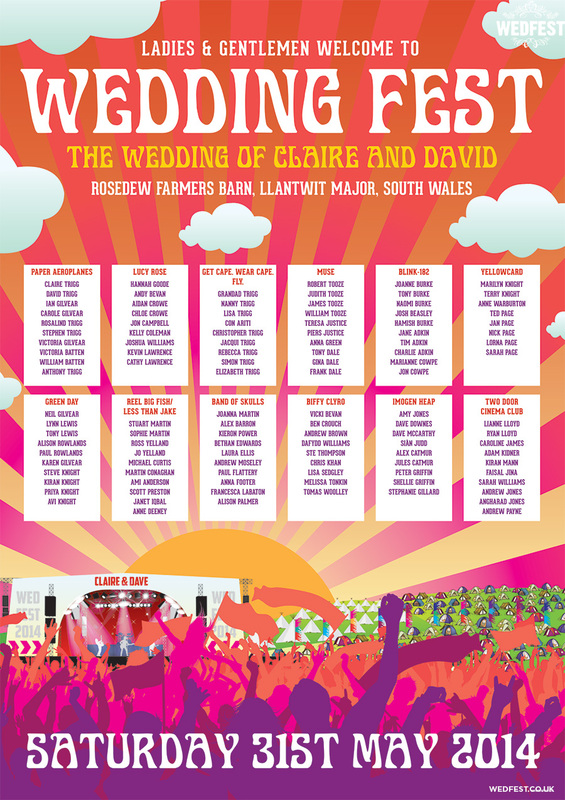 Festival Wedding Table Plan – I love this Festival Wedding Table Plan which I created for a couple called Claire & Dave. They wanted a really bright table plan for their wedding day so that it would really catch the wedding guests attention as they arrived at the reception. The colours they wanted were mix of coral, purple and pink and they wanted the design to feature a festival setting and look like a festival poster. On the bottom of the seating plan there is a festival stage with a crowd and tents and festival camping fields in the background and a huge sky blasting sun rays high into the top of the poster with the odd cloud dotted around. 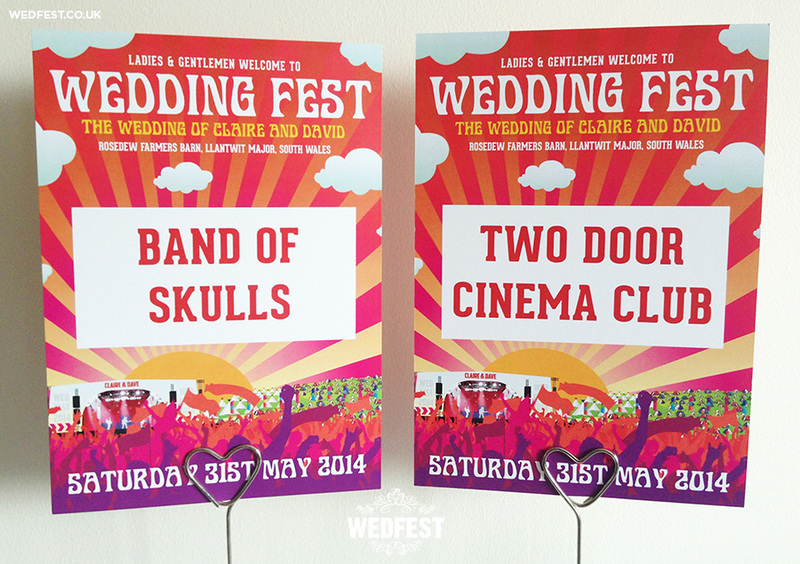 The couple wanted to call their wedding – WEDDING FEST, and for the main text at the tope and bottom the fonts I used were a nod to the type faces used back in the 60s for festivals like Woodstock and Glastonbury, and in fact still used today. Each of the wedding tables was named after one of the couples favourite bands or artists, and I made them matching table cards to put on the table centres so the guests could easily find where they were sitting. 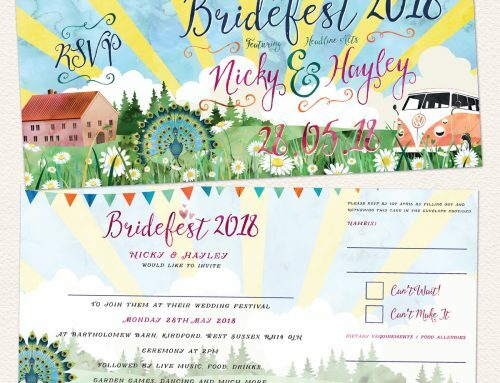 If you like the look of this ‘WEDDING FEST‘ Festival Wedding Table Plan or any of the festival wedding stationery on this website please click here to get in touch.